President Donald Trump is transforming the federal judiciary through dozens of nominees to lifetime positions as federal judges, and many of his nominees have a record of siding with corporations over workers. By appointing Justice Neil Gorsuch, Trump has ensured that the U.S. Supreme Court will become the same pro-corporate, anti-worker tribunal that it was when former Justice Antonin Scalia was on the court. With a reliable fifth conservative vote, the court has brought back cases that could hobble public employee unions and make it harder for employees to have their day in court if their employer does something wrong. The court heard arguments yesterday in a case that could make it harder for workers to band together to sue their employers in class-action lawsuits. The justices will decide whether employees can sign away their rights to sue their employers in class-action or collective lawsuits. Some employers require their workers to sign contracts that force them into individual arbitration in order to resolve legal disputes. Employees can join together in class actions when their employers have shortchanged them, but it is not worth the cost of suing individually. For example, female workers at Walmart sued the company and argued that store managers had discriminated against them in pay and promotion decisions. Last week, the court announced that it would—once again—hear a lawsuit that could allow public employees to gain the benefits of union membership without having to pay any union fees. The issue in Janus v. American Federation of State, County and Municipal Employees is similar to one that the court heard last year, Friedrichs v. California Teachers Association. The justices deadlocked 4-4 in Friedrichs, but Justice Gorsuch will likely provide a fifth vote against the unions. The plaintiffs want to overrule a 1977 case that allowed states to require its employees to pay some union fees for collective bargaining, even if they were not union members, because all employees benefit from the union’s bargaining over pay, benefits, and other issues. Without such a requirement, “free riders” can get the benefits of union membership without paying anything. The plaintiffs are employees who object to paying for certain union activities, even though the unions cannot use the fees from nonmembers for political activity. Public employee unions have warned that a ruling against them in Janus could be devastating, depriving them of the revenue needed to bargain on behalf of workers. Weaker unions would be bad for American workers. Unions have been the key to building the American middle class. They help lift wages for both union and nonunion members. In addition to Gorsuch, Trump is also making his mark on the lower courts by appointing judges with extreme views. Last Friday, the president nominated Texas Supreme Court Justice Don Willett to the 5th U.S. Circuit Court of Appeals. Justice Willett, who was elected with the help of millions of dollars in campaign cash from corporate lawyers and corporations, has some very antiquated views about workers and the government’s legal authority to protect them. He has embraced an approach to economic regulations that has been discredited for nearly a century. In 2015, Justice Willett wrote a concurring opinion arguing for a return to a time when judges struck down New Deal regulations as violating unwritten “economic” rights. He would allow unelected judges to define these unwritten rights and decide when they are violated by laws that protect workers or consumers. In his opinion, Willett acknowledges that “judges are lousy second-guessers of the other branches’ economic judgments,” but he made clear that he thinks these unenumerated economic rights trump democracy. He describes them as “prepolitical” rights that limit the rights of citizens to enact the laws they want. 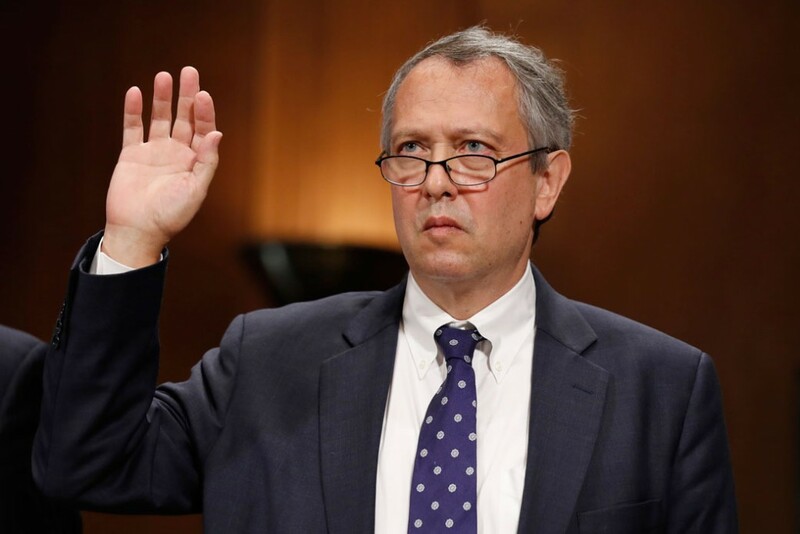 In North Carolina, Trump has nominated attorney Thomas Farr to a district court. In addition to his work defending voter suppression, Farr worked for the National Right to Work Legal Defense Foundation, which brought the lawsuit challenging public unions’ fees to the Supreme Court. He has also defended corporations accused of discriminating against workers. The Alliance for Justice, a liberal judicial advocacy group, surveyed Farr’s record and found that he built “his career undermining workers’ rights.” Farr praised a 2016 North Carolina law that eliminated employees’ right to sue for discrimination in state court, though the Legislature repealed the law after harsh criticism. Farr defended Pfizer Inc. when it was sued by an employee who alleged severe gender discrimination by her supervisor. As the report from Alliance for Justice noted, the employee claimed that the supervisor called female workers “stupid, retarded, and awful,” in addition to encouraging them to wear skirts to entice clients. Farr also defended a trucking company that faced allegations that a woman was not hired as a driver because of her gender. Thanks to Senate leaders refusing to move former President Barack Obama’s nominees forward, Trump has a record number of judicial vacancies to fill. He has wasted no time nominating judges with a history of ruling for corporations or defending them when they are sued by workers. If confirmed, these judges will be on the bench for decades. The current Supreme Court term—with the potential to gut public employee unions and keep more workers from suing their employers—is only the beginning.